President-elect Donald Trump’s transition team is denying reports that sons Donald Trump Jr. and Eric Trump will be involved in a charity hunting and fishing event on the day after the inauguration, according to an invitation to the event obtained by TMZ. The fundraising event is being called “Opening Day” and all proceeds will reportedly benefit wildlife and habitat conservation, although the specific charities were not yet spelled out. Also planned to be in attendance at the Walter E. Washington Convention Center in DC, according to the invitation, is the President-elect. There are several ways to donate and attend the event, the highest being the “Bald Eagle Package,” which for $1 million you can have a private reception with 16 guests to rub elbows with Donald J. Trump. The package includes a “multi-day hunting and/or fishing excursion for 4 guests with Donald Trump Jr. and/or Eric Trump,” based on the draft invitation. In addition, you would receive 85 VIP guest tickets to the event. If you don’t want to spend quite as much you can opt for the “Grizzly Bear Package” for $500,000, which icnludes a meet and greet with the President-elect and eight guests as well as the hunting/fishing trip with at least one of the Trump sons. Music from Alabama and Toby Keith is also planned. But after TMZ reported these details, the Trump transition team put out a statement denying that either son had made a firm commitment and released a revised invitation that excludes any mention of the Trump sons. 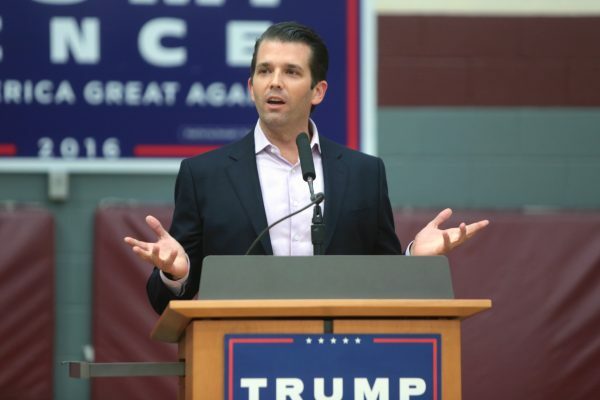 Last year, LiveOutdoors spoke with Don Jr. about his hunting prowess, in particular his African elephant hunt that drew criticism. Both sons grew up travelling each summer as kids to Czechoslovakia to visit their paternal grandfather where they learned to hunt and fish.